I am always on the look out for new, creative cookie designs and this one definitely fits the bill. 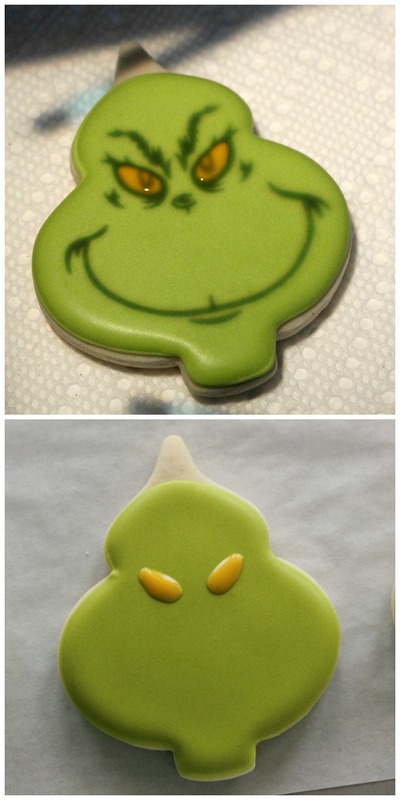 I can’t take credit for this idea, it was shared on my Facebook page by Jennifer, of Cups ‘n Cakes by Jennifer, who’s daughter actually pointed out the resemblance between the cutter and Mr. Grinch. Gotta love creative kids! Anywho, this was too good not to share, so I threw together a quick little how-to. 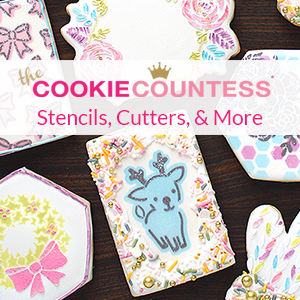 My favorite part of this cookie is that it starts with Wilton’s widely available holiday cutters. See what a perfect fit? It’s like they were made for this! Begin by outlining and flooding the cookie. I skipped the tip of the ornament to allow for hair, but you can cover the entire cookie if you like. Whatever works best for you. Once the base is flooded, let dry. 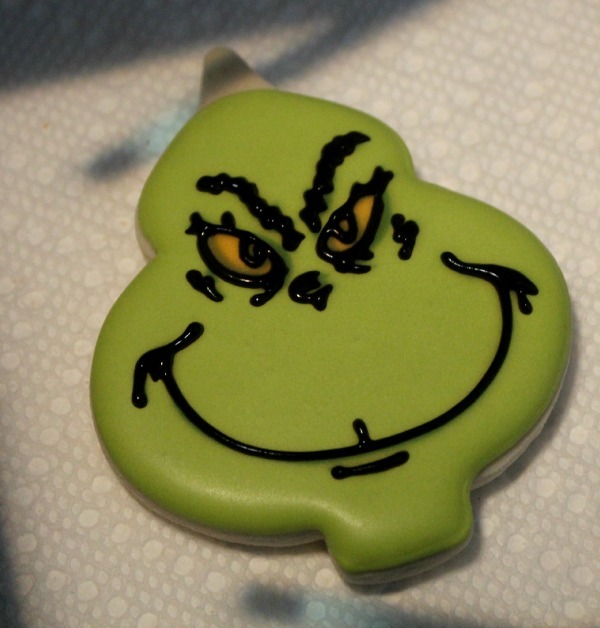 To make things quick, I Googled, “Grinch face”, found an image I liked, re-sized, and printed it out for use in my Kopykake. If you don’t have a Kopykake, you can accurately transfer a face using the pushpin trick. It just takes a little longer. Once I had an image, I popped it into the Kopykake and got to work. I began by adding the eyes. Once they were dry, I piped the rest of the facial details with black icing and a #1.5 tip. To finish up, I used a #18 tip to add a little sprig of hair. 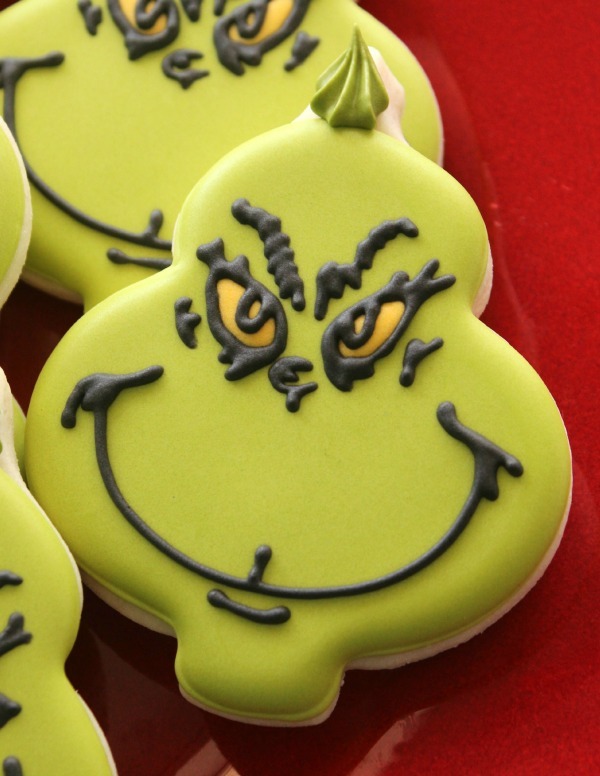 These Grinch cookies makes me happier than any Grinch should. They have all the elements of the perfect cookie design. No, handcutting, only a few colors, and easily transferred by Kopykake. You can’t often say that about character cookies. If you have the time, or maybe even if you’re short on time, I highly recommend trying these! Thanks again for sharing, Jennifer, I love this idea. Oh yes, and if you haven’t purchased this cutter, GO NOW. There’s so many cool cookies you can make with it. Haha, who knew The Grinch could be so cute! GENIUS! (I’m being redundant.) And I LOVE the green grinch-y color. Perfect! Makes my heart want to grow three sizes this day. 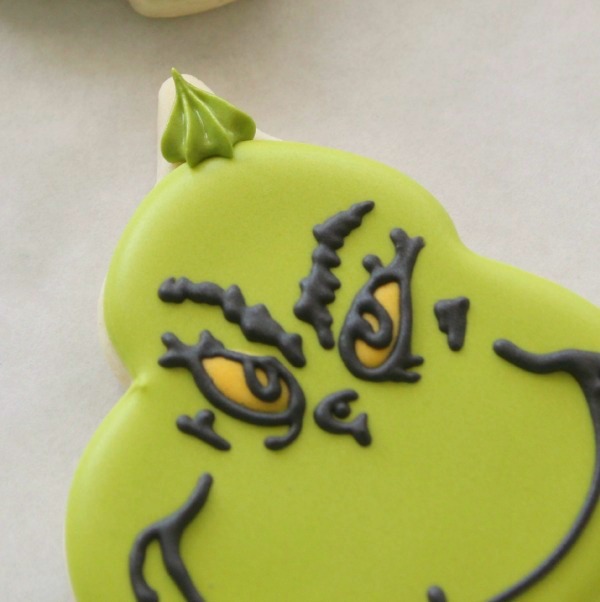 I love this Grinch cookie. He is too cute. Thanks for the tutorial. LOVE these cookies! They are so simple, how could anyone not make them!! Great tutorial, Callye, and awesome idea, Jennifer! 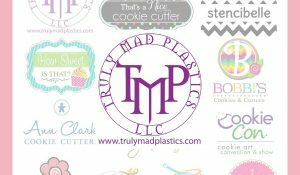 Where do you find that cookie cutter?? I’ve searched wilton ornament violin cutter but it’s not the same shape! Try Walmart, I am hoping Wilton will add them to their website soon! Too darn cute for words! I have been avoiding the new cutters at walmart, but looks like I’ll have to head over and snag them after all! Cute idea and perfectly executed! I love this cutter! I’ve been using it for everything but would never have thought of the Grinch. Very Cool! love these cookies! 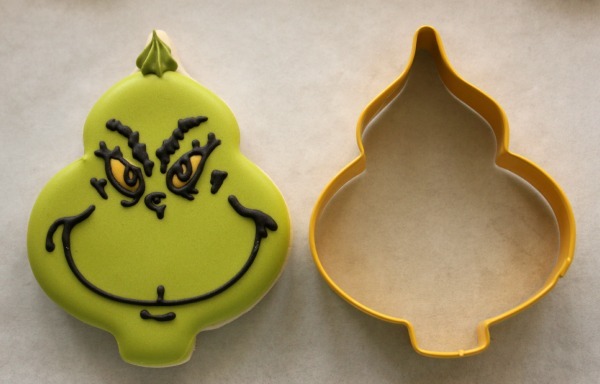 really, so darn cute for green Christmas hating grinch cookies! Merry Christmas Callye! I love these! I have looked everywhere for the cookie cutter and cant find it anywhere. Guess I will have to wait till after Christmas and see if I can find it then. Has anyone seen them online? We have a couple of Walmart locations in my city. One had them right as you walk in the door, another had them out in the garden center where the holiday stuff is, out in the covered area. Hth! Hi! 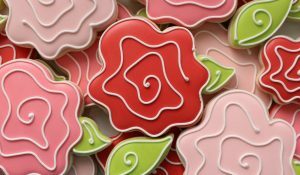 I really like these cookies and want to try them! But I usually have trouble with dark colors “bleeding” into the lighter color… Do you have any tips on how to avoid this? 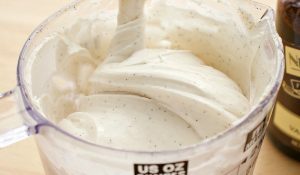 How long did you let the green icing dry before decorating with the black? Thak you! I think climate has a lot to do with it. I can usually do the piping pretty quickly, but the humidity is low. For bleeding problems try drying with a fan OR in extreme cases a dehumidifier helps. I just wanted to say a big thank you for this tutorial. I recently purchased a Kopykake and these were my first cookies to use it with. I’m brand new in cookie decorating and can see the potential though I have a TON to learn. Thank you soooo much for all your invaluable hints, tips, tricks and humor. You are a true inspiration. Merry Christmas and may 2015 be an incredible year for you and yours. 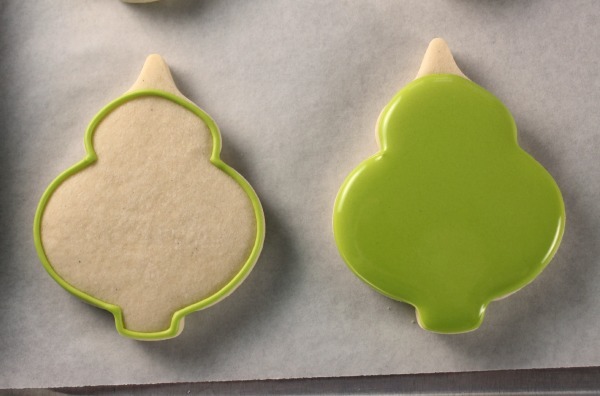 On a side note, I could not find the ornament cookie cutter used in the tutorial anywhere, so I used a pear shape for my design. I think they turned out perfect just the same. =) Happy baking. 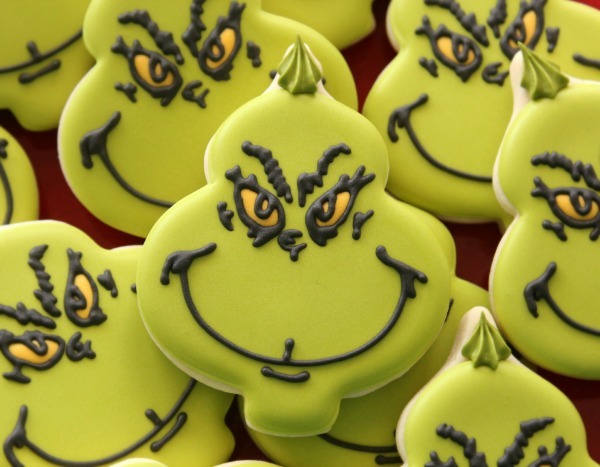 Some one just asked me for Grinch cookies so of course I googled it. Guess who’s tutorial I’ll be using. Thanks in advance! 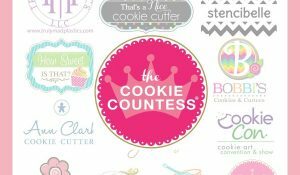 I know this is an older post, but if you have any idea where i might find the cookie cutter, I would greatly appreciate it. I have looked high and low for it. Probably eBay at this point, or from a 3-D printed cutter shop like Truly Mad Plastics.